Presenting the latest work from CJ. 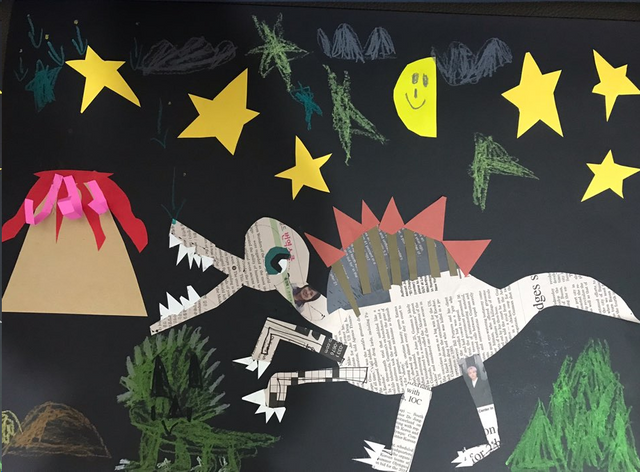 He had some interest in creating a dinosaur visual and came up with the picture below! Not sure what dinosaur that is, but maybe a hybrid of a velociraptor and a stegosaurus near an erupting volcano? Thank you so much for being an awesome Partiko user! You have received a 41.85% upvote from us for your 4170 Partiko Points! Together, let's change the world!